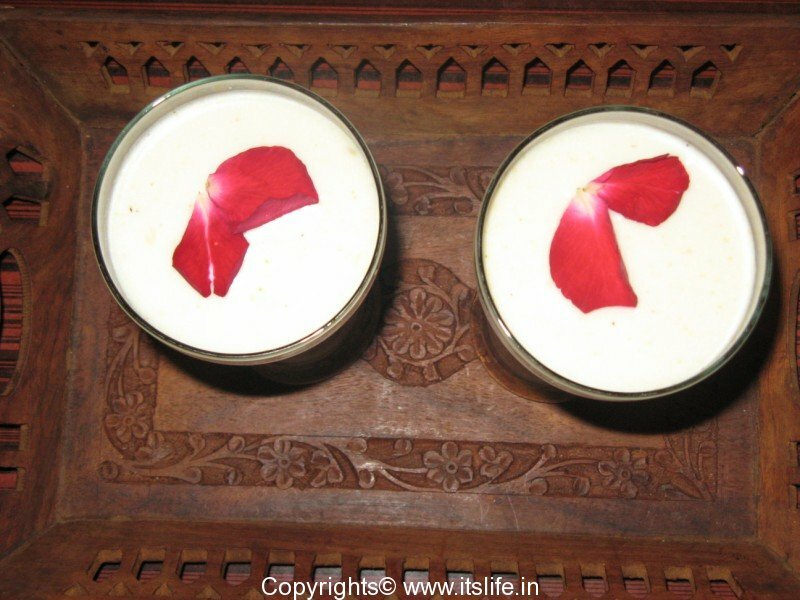 Thandai is a refreshing drink prepared using many dried fruits. Holi, the festival of colors ends with a drink of Thandai and it is also offered to Lord Shiva on Shivarathri. This is very popular in North India and especially in Banares. Boil Milk and add Sugar and stir until it dissolves. Keep Milk in the refrigerator. Soak Almonds, Chironji and Pistachios, Khus Khus, Melon Seeds for 30 minutes. Peel Almonds, Chironji and Pistachios keep aside. 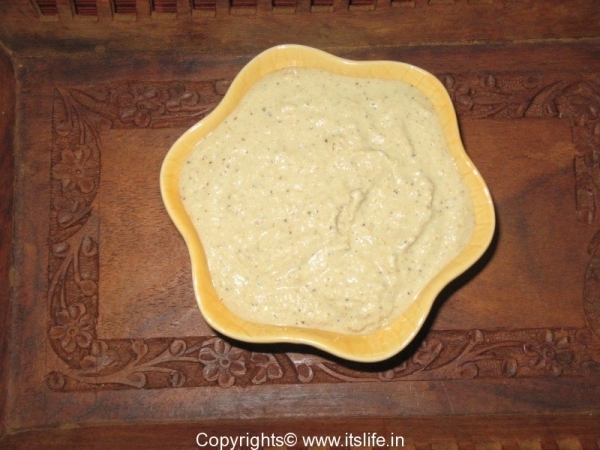 Grind Almonds, Chironji, Pistachios, Khus Khus, Melon Seeds, Rose Petals, Fennel Seeds, Peppercorns and Raisins to a paste. 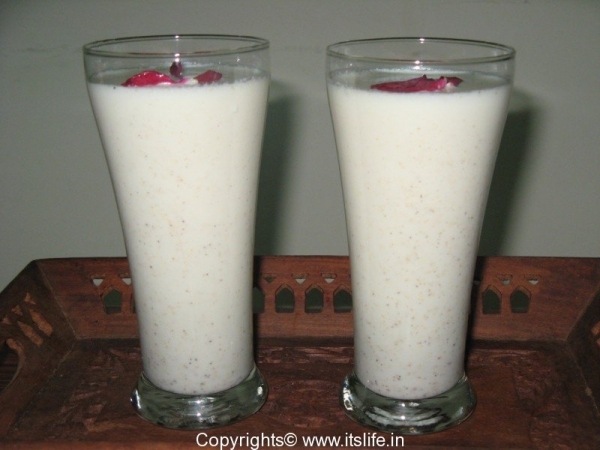 Remove Milk from the refrigerator and add the paste, Rose Water, Water, Crushed Ice and mix well. Pour into glasses and garnish with Rose Petals and serve. 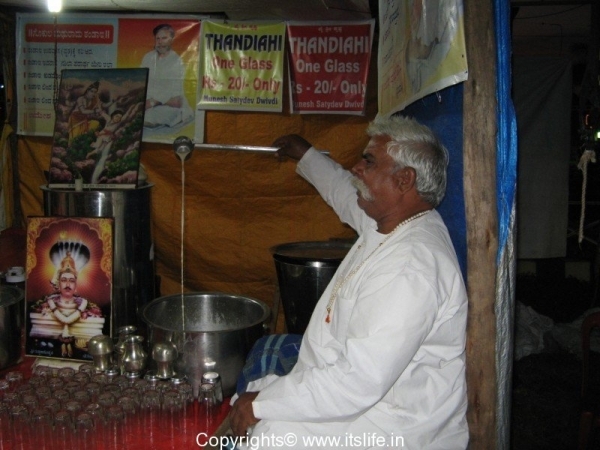 Here is a person from Banares who had set up a Thandai shop in Dasara Exhibition, Mysore. Never heard about this such a lovely refreshing energy drink. 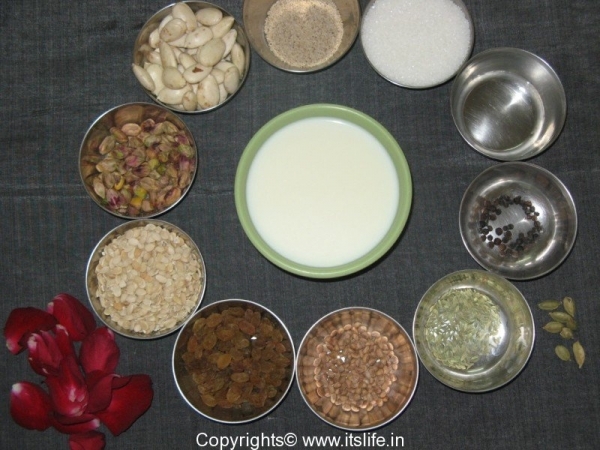 Yes this drink is a rare combination of dry fruits and spices. Thanks for visiting.